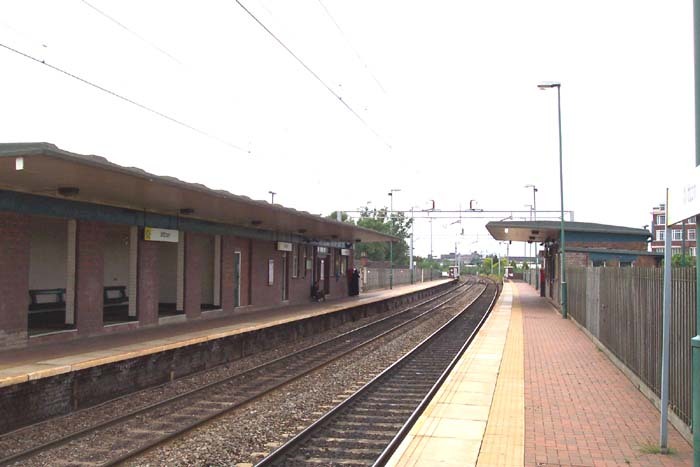 Witton station opened in two phases: to passengers in 1876 and for goods in 1887. 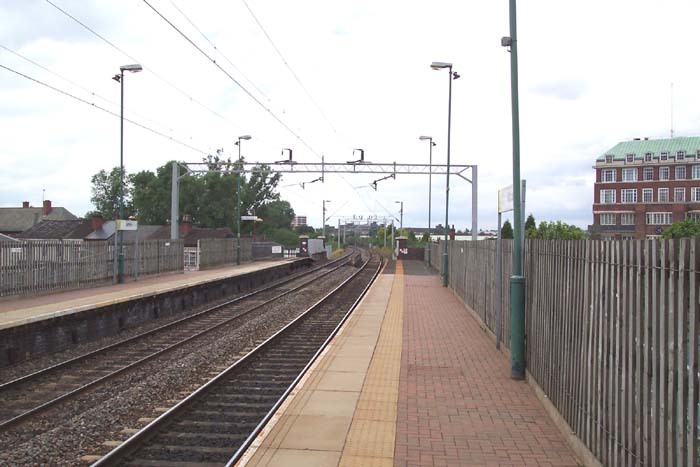 It was opened by the LNWR on the ex-Grand Junction Railway's line from Curzon Street to the original Wolverhampton station renamed Wednesfield Heath in 1855. 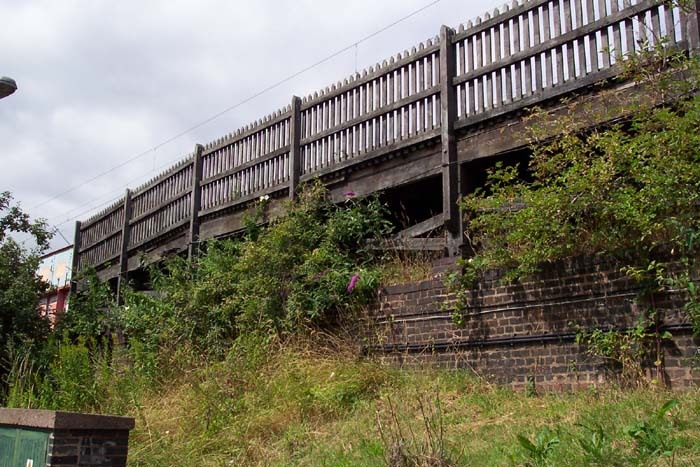 The LNWR itself was a fairly new and expanding concern having only come into existence in 1846 by the amalgamation of the Grand Junction, London & Birmingham and Manchester & Birmingham railways and was beginning to 'flesh-out' the lines of its original constituent parts in response to the ever growing number of passengers and goods traffic, with new stations. 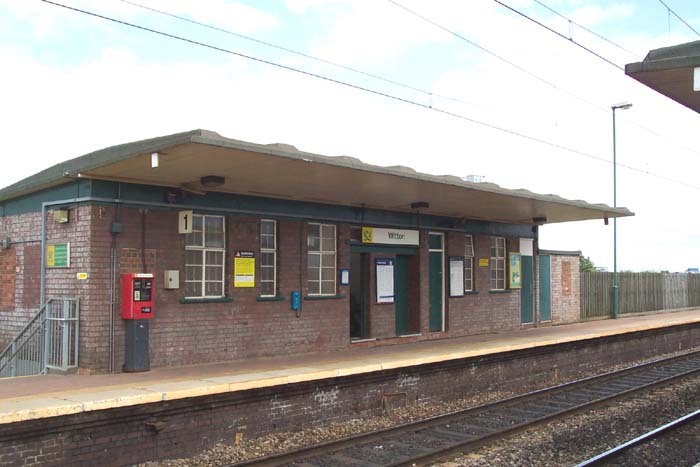 Witton station still survives, in a reduced format from its original status, but does retain some interesting features albeit that the station has a rather run-down feel to it today. 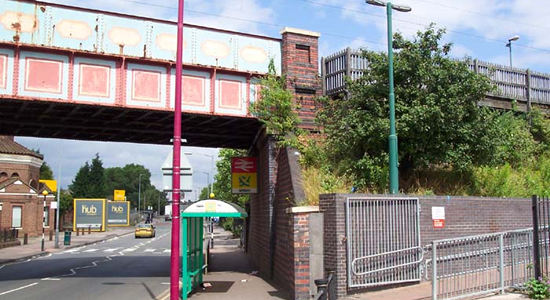 Above we are on Witton Road looking at the sign under the railway bridge that announces you have arrived at the station (the entrances to which are on the right, either side of the bridge). 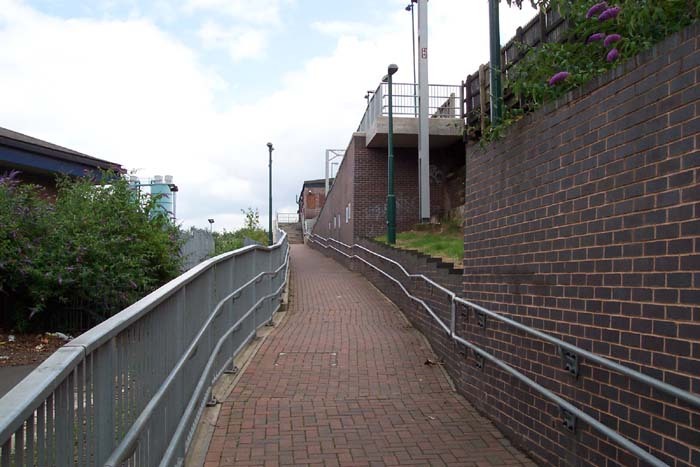 Above-left we are looking along the entrance ramp to the Birmingham platform from Witton Road. The scheme in place here seems to have been to leave the track level facilities in place but completely remove all LNWR relics from the rest of the site to leave a strange kind of hybrid station suffering from the blandness and pure functionality of the 1970s revamping of the region's railways but keeping in tact its platform buildings. 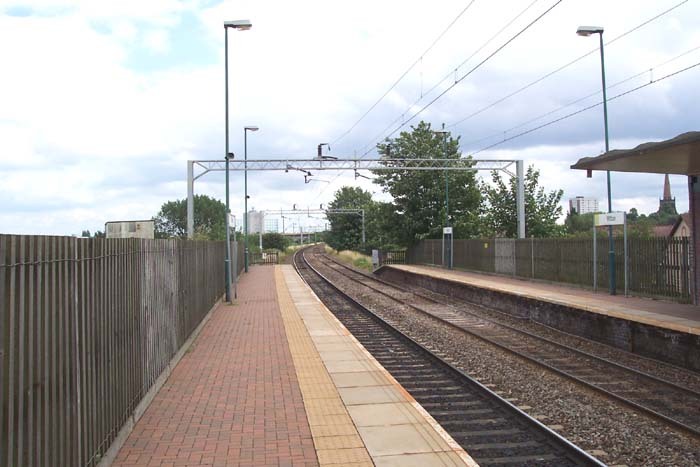 Above-right we are on the Birmingham platform looking in the direction of Aston and the junction with what is now the Cross City Line. Above-left we are on the Birmingham platform looking across the Witton Road bridge towards Perry Barr and Walsall. Above-right is a more interesting shot from the Birmingham platform looking at the facilities on the Walsall platform. A long, open-fronted waiting room leads to a more conventional platform building at the end furthest from the camera. Above-left we have entered the Walsall platform to take a look at the station building on the Birmingham platform which, whilst not the most aesthetically pleasing of sites, is a period piece and shows signs of cosmetic changes: note the different brickwork at certain points indicating the bricking-up of windows and a doorway. Above-right is an interesting shot of the seemingly precarious position of the Walsall platform's end as viewed from the entrance pathway from Witton Road. An interesting station to visit in spite of it losing its goods facilities and original buildings.